Mouvent – the Swiss start-up company focused exclusively on delivering the future of digital printing using pioneering digital technology – will present its revolutionary Mouvent Cluster Technology for digital label printing at this year’s Labelexpo Americas exhibition, taking place 25-27 September 2018 in Rosemont, IL, USA. The Mouvent team will be at Stand 5200 in Hall F of the Donald E. Stephens Convention Center. At the stand, attendees will have the opportunity to see the revolutionary Mouvent Clusterprint head up close. The Mouvent Cluster is at the heart of the company’s innovative technology – a radical new approach, which uses extremely compact and lightweight clusters instead of fixed size print bars by color, arranging them in a modular, scalable matrix. The result is one system that can be simply adapted for all sorts of substrates, widths, and for all type of markets. Print samples from the three available Mouvent digital label printers – which are all based around the Mouvent Cluster – will be on show at the stand. Mouvent is currently working on its tailored sales and service structure for the US market as well as on setting up a show room before offering and selling its solutions into the country. The company aims to launch the first of its innovations in America in 2019. 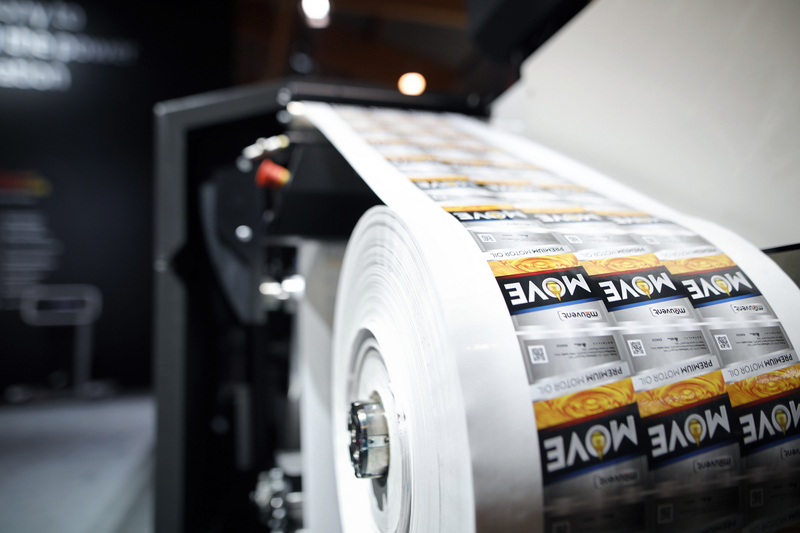 So far, Mouvent has launched three digital label printers in Europe– the LB701-UV mini label press, which is the smallest high-productivity label press on the market; the LB702-UV label press, which allows fast and easy industrial label production at an incredible TCO; and the game-changing LB702-WB label press, which uses only 100% water-based Mouvent Inks, making it 100% free of VOCs (volatile organic compounds) and 100% food safe. The three label printers can all print up to 7 colors on a large variety of substrates – paper, self-adhesive and wet-glue label stockas well as flexible materials – at production speeds of up to 100 m/min with a native resolution of 1200 x 1200 and optical 2000 dpi. Print samples will be available at the booth.